In a large pot, trim the ends of the asparagus stalks away (about 1/3 of the woody stalk). 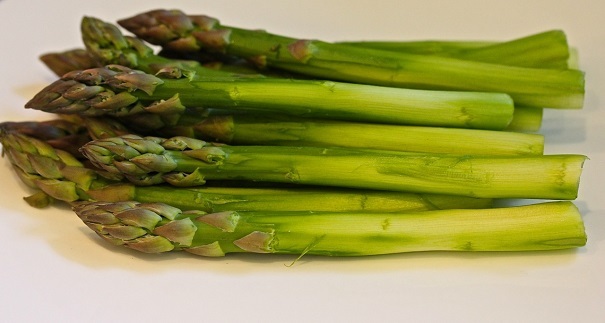 Bring water to boil and drop asparagus into the water, allow to boil until fork tender, about 6 minutes, depending upon the thickness of the asparagus. You want the asparagus to be easy to chew, but not soggy. Remove from water to stop the cooking. Serve.